When I was in high school, my younger brother attended a Bible summer camp at a local church. The church was affiliated with a mainline denomination, but this was at a time during the mid-1970s when there were shifts taking place in all denominations, and non-denominational churches were on the rise. That summer my younger brother received permission to attend the Bible school. Each class earned “points” if they brought in new students. Wanting to know more about the school and its summer program, my mother took the opportunity to encourage me to attend and report back. In my first (and only) class, our teacher talked about salvation. In the first few minutes he made the point that if we went out and were hit by a car riding our bikes we wouldn’t be “saved.” But if we were to join his church, and be baptized or re-baptized in that church, and then were hit by a car, we’d be “saved.” Needless to say, I didn’t stay for the entire class … and though only 14, as I exited the church I told the teacher precisely what I thought about what he was teaching. Ever since my experience at the Bible School, I’ve struggled with the thought of someone “mediating” another person’s relationship with Christ. We all seem to believe in a personal relationship with Christ, and yet, there seems to be so many ways in which our churches put up barriers. I often find myself asking rhetorically if it isn’t a sin for us to block someone’s access to Christ? I seem to recall a reference in Mark’s Gospel that reads, “If any of you put a stumbling block before one of these little ones who believe in me, it would be better for you if a great millstone were hung around your neck and you were thrown into the sea.” I still believe that no matter how well-intentioned, what that Bible school teacher was teaching, and what that cleric said before communion, were both sinful … and for their sakes, and my own, I can only hope that there isn’t a collection of millstones waiting for us. As I started leading worship in Bogota, I began to think about my responsibility as a worship leader, and the issue of who is invited to, or welcomed at, the Lord’s Table. When we say, “All who are baptized are welcome at the Lord’s Table,” I have to ask myself if we’re mediating people’s relationship with Christ, whether or not that’s our intention. This raises an important question for me as a missionary in a country that was officially Roman Catholic until 1991, and in which many parishioners were raised as Roman Catholic. 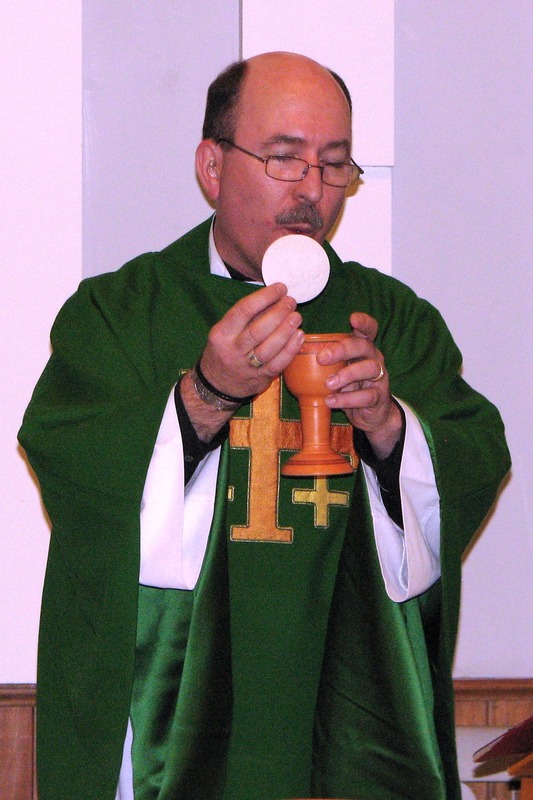 In the Roman Catholic Church it’s my understanding that Eucharistic ministers are instructed to administer the sacraments only to Roman Catholic members of the Christian faith, and communicants are instructed to receive only from Roman Catholics (though, admittedly, I’ve known many Roman Catholic conscientious objectors over the years). In such an environment, I wonder if any kind of instruction by me, beyond an open table type, could be perceived as limiting the welcome to the Lord’s Table. Some people refer to the issue I’m raising as “Open Communion,” while others use the expression, “Open Table.” As you may be aware, the Episcopal Church, among other denominations, has been discussing this issue for some time. For some denominations, the issue of Open Table is one of membership … that is, whether or not non-members in a particular worship community are welcome at the Lord’s Table in that denomination. In other cases, as I think it is in the Episcopal Church, it’s a theological question regarding baptismal and Eucharistic theology. I believe the more common usage among Episcopalians is “Open Table,” as Open Communion can have two different connotations. As indicated by the editors of Water, Bread, & Wine: Should We Offer Communion to People Before They are Baptized? 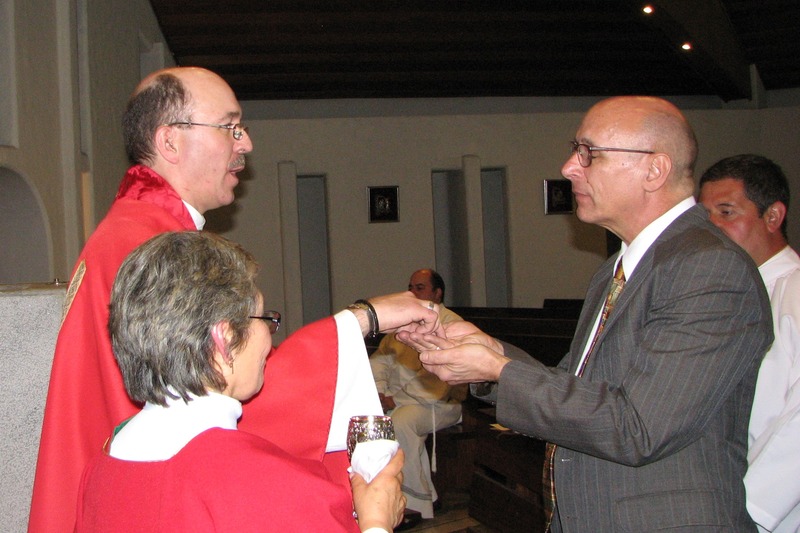 (Leader Resources, LLC, 2012), Open Communion typically means inviting the baptized, but among scholars it also includes inviting baptized Christians from other traditions to receive the Eucharist. 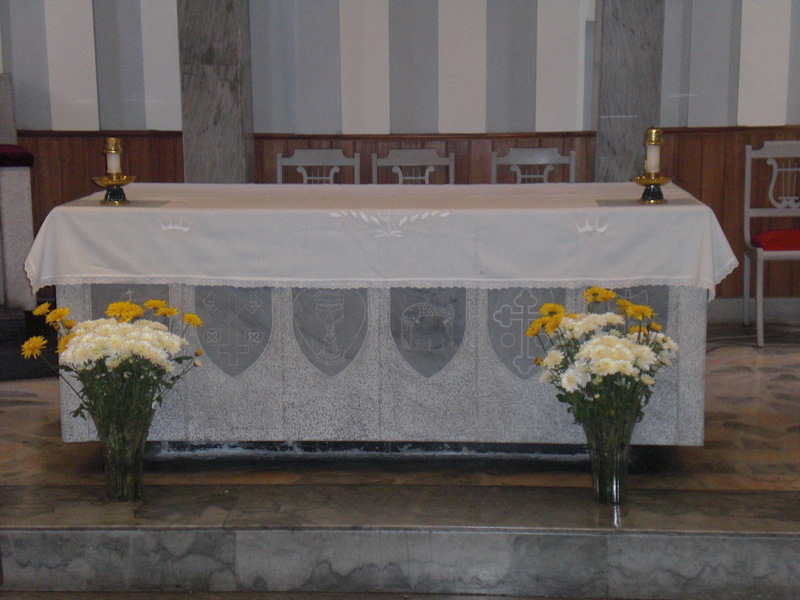 “Those practicing open communion generally believe that the invitation to receive communion is an invitation to Christ’s Table, and that it is not the province of human beings to interfere between an individual and Christ” (http://en.wikipedia.org/wiki/Open_communion). The thinking behind only inviting the baptized, as indicated in church canons, varies, but in many cases is based on the fact that theologically inviting only the baptized is sound, while there is no theological basis for an Open Table. I find myself on an interesting intellectual and spiritual journey with regard to the questions raised about the invitation to communion. Theologically, an invitation extended only to the baptized makes the most sense to me. But I’ve also served in parishes where I’ve experienced people on spiritual journeys who were led to baptism, in part, through their participation in the Eucharist. I have also had experiences in Colombia with individuals who felt they were not welcome at the Table, based on their understanding of who is and isn’t welcome at the Table from their Roman Catholic background. As I noted earlier, one of the challenges for missioners is that we find ourselves thinking about a number of theological and spiritual issues in new ways and for new reasons. As we reflect, journey in our relationship with Christ, and participate in and/or lead worship, we find ourselves revisiting topics we may not have thought about for some time. While still adhering to the canons, church polity can be quite different in another country. Theological and spiritual questions that may seem clear in one place may emerge again in entirely new ways. Clerical roles and responsibilities are often different. Worship practices are almost guaranteed to be different. The congregation’s expectations of worship and of clerics are often different. For example, I’ve participated in services where the standard liturgy of the Word and the Table (~1.25 hours) were just warm ups for the next 2 hours of prayer, reading of Psalms, hymn singing, individual blessings for everyone in the congregation, and witnessing. While it’s the responsibility of Episcopal clergy to have a working knowledge of the canons, I believe it’s also important that we all have a willingness to journey with canonical and theological issues as they arise in different contexts. I pray that I continue to have the courage to do just that. Your words are thought-provoking, as always, Ted. My personal experience with two Roman Catholic Benedictine communities of monks (one in Minnesota, one in Massachusetts) has been that of “Everyone is welcome at the Lord’s table.” Period. Pope/Rome notwithstanding. The Episcopal Church I attend specifically invites people to the table to receive if they’re baptized Christians, to receive a blessing if not. It’s obviously a challenging theological, canonical, spiritual and intensely personal issue. Thank you for helping us all continue to think and pray about it. Love that photo of you presiding!